Hugh Hewitt on his morning radio show this morning [Tuesday Feb. 18, 2018] brought up a dangerous developing situation that you aren't seeing or hearing on much of the news media or other radio shows. He began the discussion briefly in hour one, developed it more in hour 2 because of an article in Bloomberg by Stepan Kravcheno, Henry Meyer and Margaret Talev; and a tweet by Michael Weiss, CNN National Security analyst. Then Hugh talked with Bill Kristol [editor at large of the Weekly Standard], and former Israeli Special operator, Yoni Tidi [who called in], about what Hugh called, "more than a tinderbox...a fire" developing in the Middle East. Thanks to Hughniverse for their podcast of today's show, I clipped together the relevant conversations by Hugh, Bill Kristol, and Yoni. [Hugh by himself in hours 1 and 2 and Bill and Yoni in hour 3]. While I had to edit to clip just the relevant portions, I tried not to take anything out of context. Also, I did not have a picture of Yoni to put on the You Tube video. Please turn up the volume and listen to this important discussion of a very dangerous developing situation in the Middle East that you may not be hearing elsewhere. Thanks. 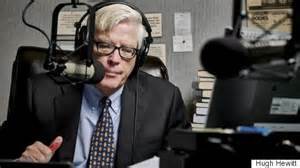 Please consider joining the Hughniverse where you too can get any Hugh Hewitt show podcast and be able to get many more features, like Duane Patterson's [Hugh Hewitt's producer] Aftershow and Duane FM and much more. If you join now, you can receive the first month for only 99 cents.